All ashore that’s goin’ …. 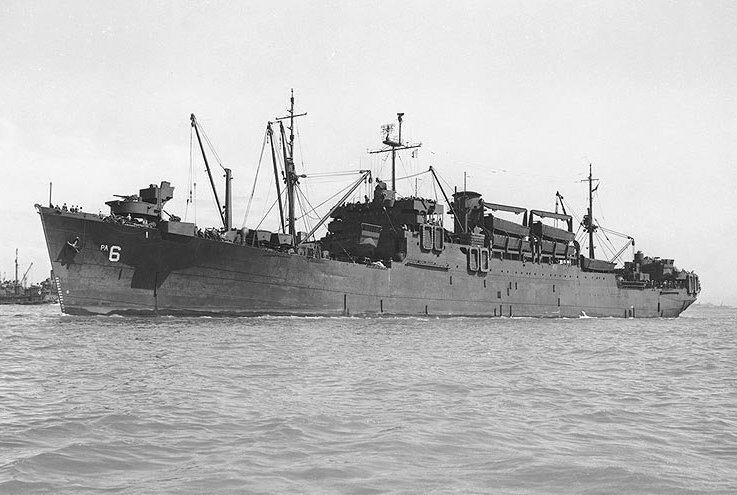 As the ships drew closer to Leyte, the American soldiers already on shore were being hampered by logistical problems which caused a severe delay in capturing the island. When the 11th A/B division arrived, General Hodge was finally able to move General Arnold’s 7th division and their plans came together. 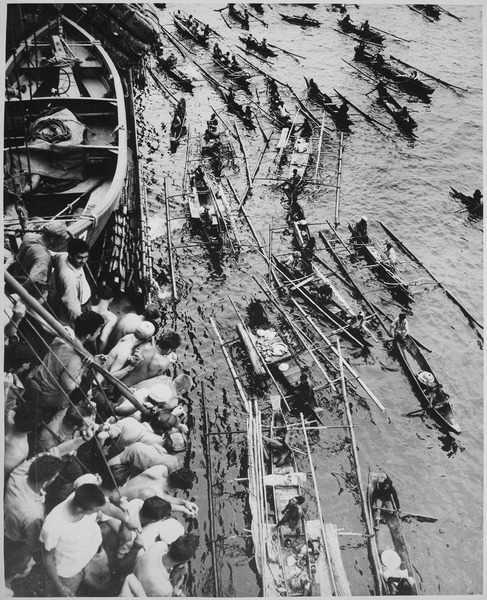 We landed here in the Philippines yesterday morn, but before leaving the ship, the Japs treated us with their honorable (?) presence in the form of bombing planes. Shore batteries kept hammering at them in the gloom of a misty a.m. and the tracer’s bullets reaching up to the planes made a very pretty but gruesome sight. The way those tracer shells can pick out the planes you would think that they had a score to settle and just can’t wait to even it. The natives here were real friendly and helpful in a dozen different ways. They ran up to the landing boats as soon as the bow of the boat sunk its bottom into the beach and helped us carry off our burdensome equipment. It reminded me of Penn or Grand Central Stations with porters running helter-skelter all over the place. The only thing missing to make the picture complete were the tell-tale red caps on their heads. It wasn’t long after landing that we were organized into work groups and sent off to our chores. Work kept on until we were hours into the night despite the fact that again, Jap planes came over. I am happy to report that they will not be able to do so again, that is – not the same ones. During the day we were handed K-rations for our dinner and after the excellent food we had aboard ship, they sure tasted like hell. Just before dark last night, we were allowed a few moments to ourselves and at once set to work getting our tents erected. Here again, the native men came in handy helping us to either put up the tents or dig our slit trenches. Of course they don’t do any of this work for nothing, but for items such as undershirts, trousers, soap or most anything in the line of clothing. There were a few dogfights everyday above Bito Beach between Zeros and P-38s, but at night there was a rather unique spectacle watched by the men. Some of you might remember an episode of the television show, “M.A.S.H.” entitled “5 o’clock Charlie” – this had to be where they got the idea for that particular episode. The 11th airborne had their very own “Washing Machine Charlie” routinely chugging overhead. On a daily basis, his old engine coughed around so loudly he could be heard for miles. His flight path was so predictable that sounding the air raid alarm seemed ludicrous to the troops. The bomber only succeeded in landing one shell after his many raids and it happened to hit the causeway. The engineers were forced to return and rebuild the breach. Unfortunately, Smitty did get to know some of the natives better, as I was to discover one day as watched the news about Vietnam. 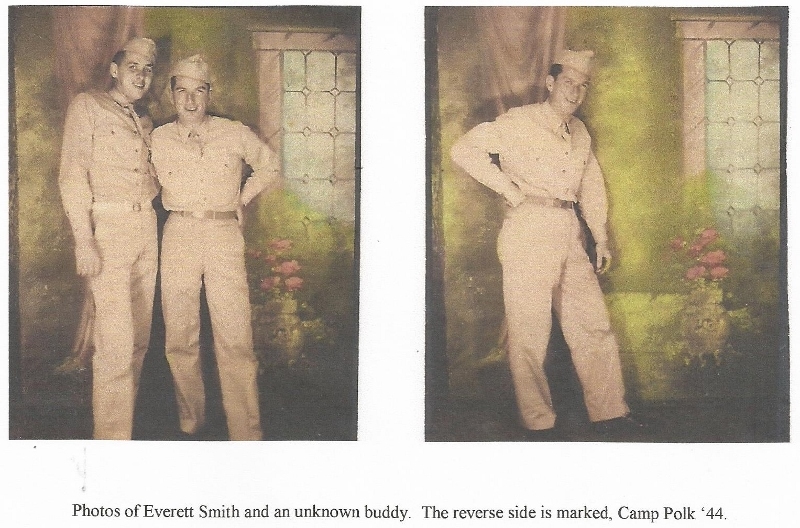 When it was mentioned that the soldiers found it difficult to distinguish between friend and foe, my father grunted. When I questioned him, he replied that he was very concerned about the welfare of our troops. Not one to discuss combat, I needed to prod him for an answer. He looked at me once and after that I could see that he was reliving the event. Between his last letter and the following one, the 11th Airborne Division went through combat enduring some of the worst weather imaginable. The four days of monsoon rains made the smallest hill a slope of greasy mud and the flat terrain into knee-deep quagmires. The mud would cause a condition of the skin, especially their feet that the men would refer to as “jungle rot or swamp rot.” The troopers bivouacked under palm fronds in the coconut groves near Abuyog and Balay Baban villages trying to stay as dry as possible. The supplies, ammo and other war materiel had been separated and camouflaged and stayed dryer than the men. Natives and Filipinos worked to help accomplish this task and they were paid in pesos, food or clothing – whichever item they found most necessary. 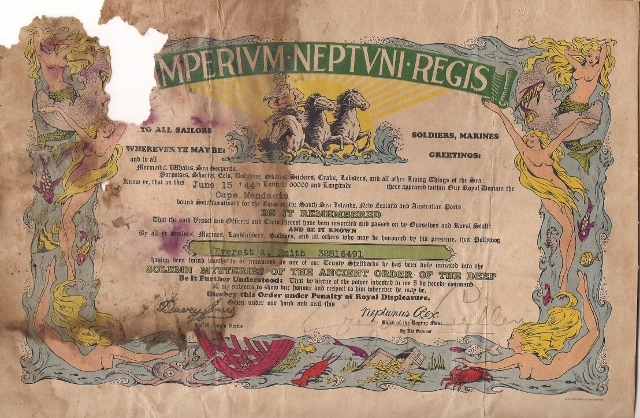 It had been reported by The Courier Mail in Brisbane, Australia, that the mud was unique, “… a thin yellow soup, porous like quicksand and sometimes bottomless, yet the Americans made headway …” The heavy humidity soaked everything they possessed, including their meager rations, but they were hard-pressed to remain on alert at all times. The conditions proved beneficial for the enemy; their replenishments of food and ammunition were only hindered, while it became near impossible for the troopers. Making matters worse, there were no fixed battle lines and the Japanese were getting their supplies through the blockades. Wherever our men went, they encountered Japanese marines and suicide guards. 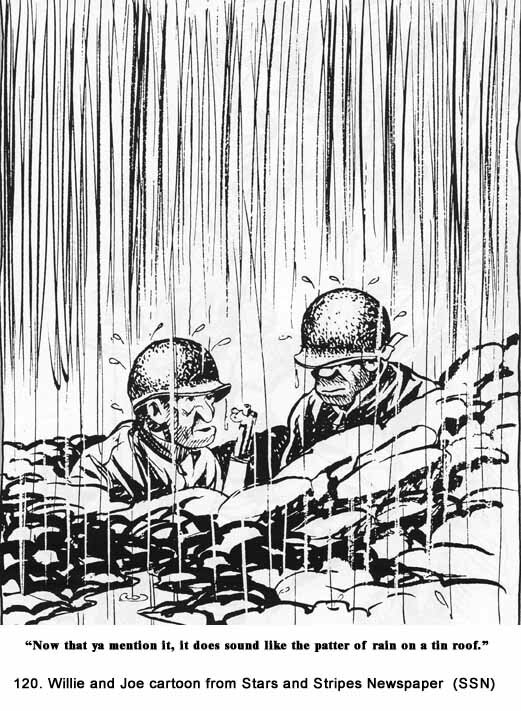 The Bill Mauldin cartoons of WWII used the same dry humor as Smitty to get his point across.